Have you recently been a part of a EASTS Junior State Cup Team? Are you in your Firsts or Seconds Touch Team at School? Are you striving to be a part of High Performance Touch Team? If you have answered yes to any of the questions above, then we want YOU to come and be a part of our High Performance Academy. Last year’s academy was a huge success. However, this year, we will be running things a little differently. All players are welcome to trial, however the Academy spots will be limited to 25 spots per age group. Our Academy is 2 hours of skills and games on a Sunday morning alongside the Easts Winter Touch competition at Queens Park. It’s run by our Easts Roosters Women’s Players from the NSW State Premier League and Division 1 competition and Nationally Accredited Coaches. Our Easts Womens Players have represented Australia, New Zealand, New South Wales and NRL Touch Premiership Teams . The rescheduled Open Trial for the High Performance Academy will be on Sunday 7th April at the Reservoir Fields, Centennial Park from 9am to 11am (at the top, next to Oxford St). The Academy u12, u14 and u16 teams will be named on Friday 12th April. The Academy runs alongside the Easts Winter Touch Competition on Sunday mornings. It starts on the 5th May and will finish in August (there will be a minimum of 9 rounds). The cost of the academy is $100. This includes playing singlet, payment to NSW touch for team registration, referees, field hire, coaching (minimum 9 games). WHAT WILL I GET OUT OF THE ACADEMY? Direct access to Coaches and mentors with International and National Touch Experience. 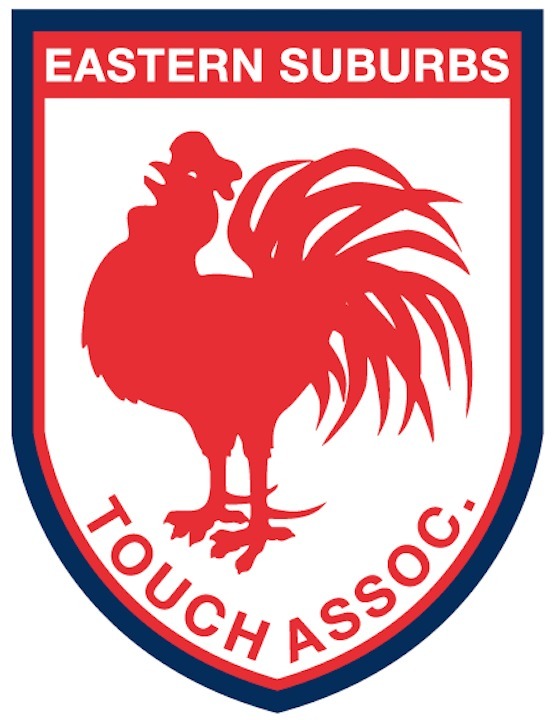 TID Process for selection in or Eastern Suburbs Roosters teams. The Junior Academy is a pathway to be a part of our Junior and Senior Eastern Suburb Roosters representative teams. Please contact Mary, Emma and Toni through roostersruletouch@gmail.com if you have any questions. Q. Why is the Academy running a 4 a side competition rather than joining the 6 a side competition? A. The 4 a side competition allows players to develop their vision and competitive attacking skills. Q. Will I play in the same team each week. A. Skills will be taught within the same age groups. Each week the age group will split into 3 teams and be assigned mentors who will play as a member of their team. Q. What if I don't make the Academy, can I still play in a team at 9am? A. Yes, we can put you in a team that plays in the 6 a side competition at 9am. This is dependent on numbers.